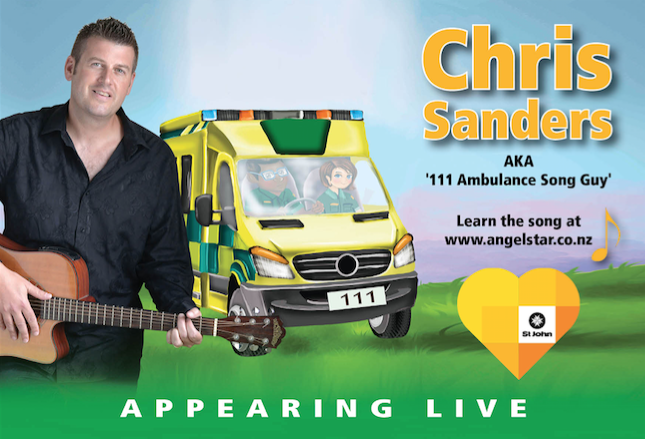 #1 hit children’s author/songwriter Chris Sanders (AKA ‘111 Ambulance Song Guy’) is APPEARING LIVE in Kindies and Schools as part of the ST JOHN HEART OF GOLD APPEAL teaching 10,000 Kiwi Kids what to do in an emergency to help raise funds for this very worthy charity. Tour runs from April 1 – May 24 with approx. 3 schools or Kindergartens each day (except during school holidays). 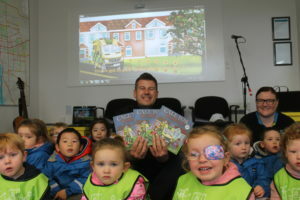 Chris Sanders recently worked with Ray White Real Estate in Invercargill who donated 80 copies of Call For The Ambulance to local Schools and Kindergartens in the area. 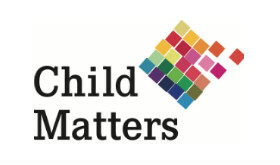 Chris also performed at 3 schools and also in the Ray White Office in Invercargill as part of the package. 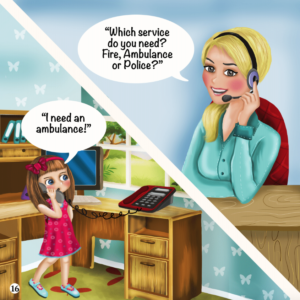 The initiative has helped teach thousands of kids how to react in an emergency and dial 111, plus it got some great social media coverage each time a book was donated and was covered by local press in the Southland Times >> click here to view article. 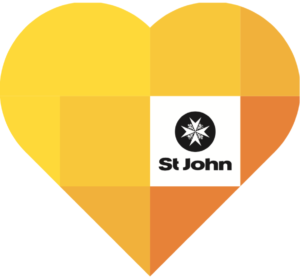 If you would like your business to do a similar potentially life-saving initiative that helps Kiwi Kids then there are some packages below that you can purchase! 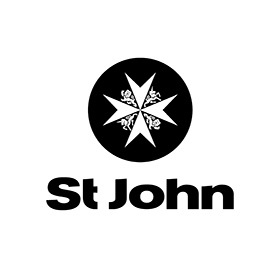 Includes 25 copies of Call For The Ambulance Books & CD plus 1 performance by Chris Sanders at a school of sponsors choice within the Auckland region. 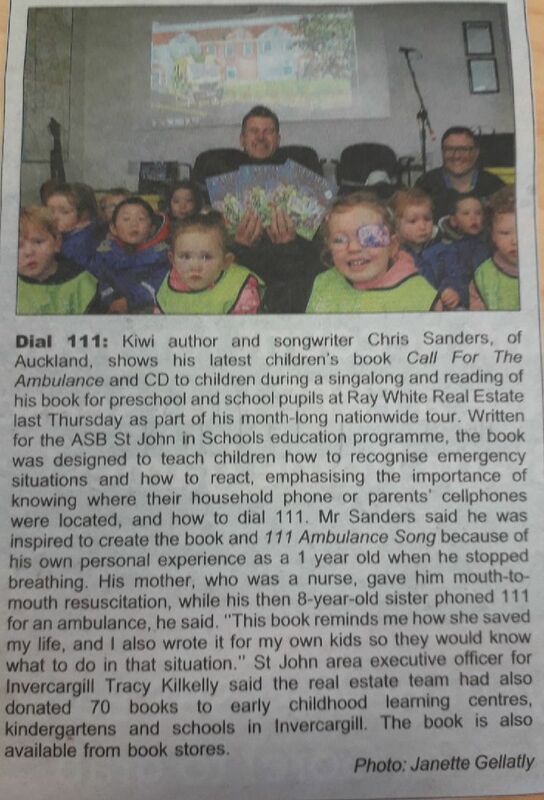 Includes 40 copies of Call For The Ambulance Books & CD plus 2 performance by Chris Sanders at a school of sponsors choice within the Auckland, Northland or Waikato region. 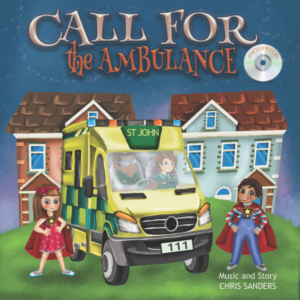 Includes 60 copies of Call For The Ambulance Books & CD plus 3 performance by Chris Sanders at a school(s) of sponsors choice within the North Island of New Zealand. 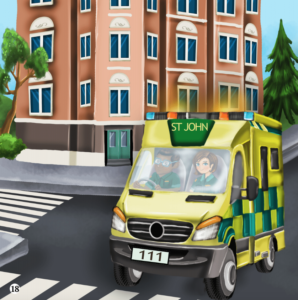 Includes 80 copies of Call For The Ambulance Books & CD plus 3 performance by Chris Sanders at a school of sponsors choice anywhere in New Zealand (provided 3 schools are all in the same area i.e. Christchurch). and a songwriter and hearing him perform his own work was very special for teachers and children.